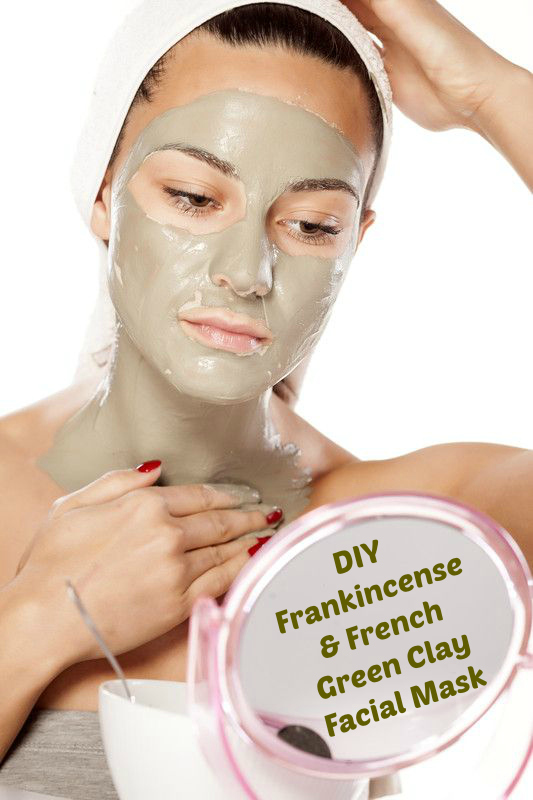 Make your own purifying and firming clay face mask, with this French Green Clay Mask Recipe. You will see making a DIY skin tightening mask is really quite easy. 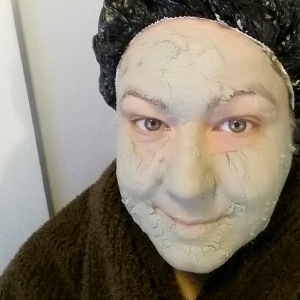 This DIY Purifying and Firming Clay Face Mask is an easy yet effective beauty recipe. The mask features French Green Clay and Frankincense essential oil *, both of which are fantastic for your skin. The French green clay draws impurities from the skin, and frankincense essential oil in the mask is adept at assisting with an array of skin maladies. The essential oil also has a pleasant soothing scent. Milk is used to wet the clay, as the lactic acid and fats in it can be beneficial, but water or a vegetable based milk can be substituted of you prefer. I am in my late 40’s and find this mask useful in tightening my pores and skin overall. It also helps with both blemishes and age related skin defects. 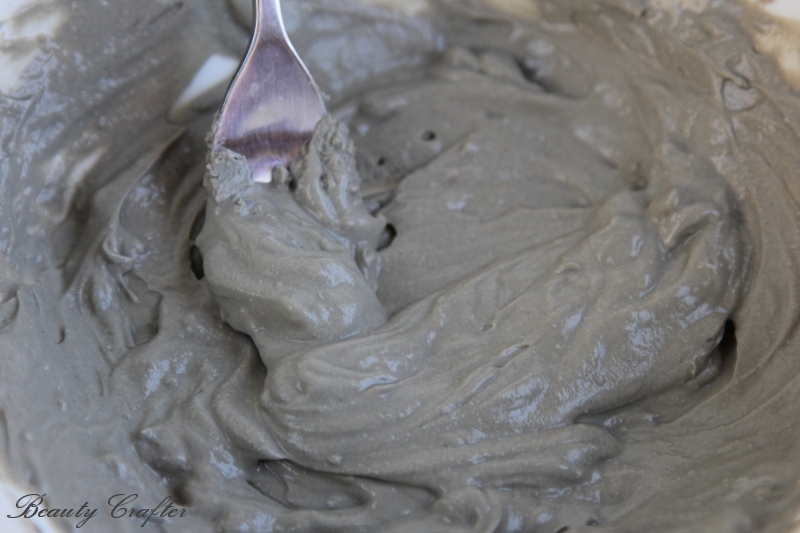 This DIY clay mask would be even more helpful to those with oily skin and acne issues. 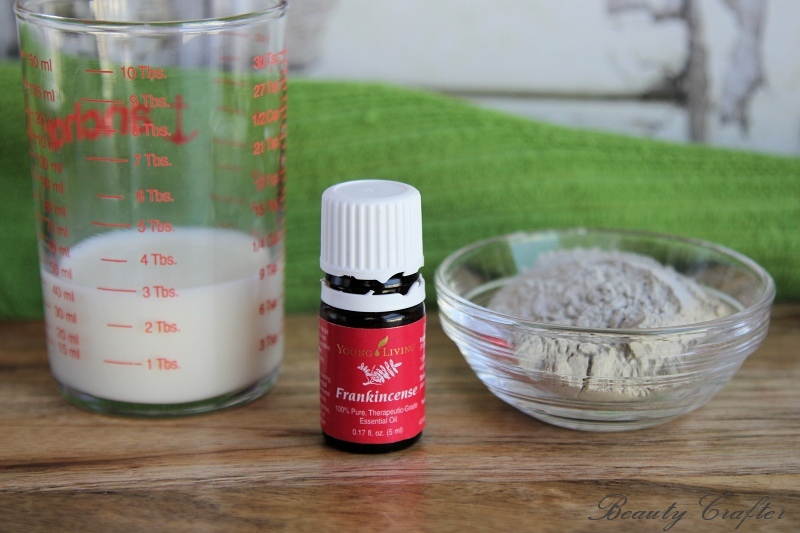 Both French Green Clay and Frankincense are revered for their assistance in these skin issues. Have all over skin issues to deal with try my French Green Clay Soap recipe too! The clay mask is best mixed freshly right before use (it only takes a minute). Simply mix the three ingredients together well, then spread thinly over face and décolleté, avoiding under eye area (clay can be too drying there). Allow to dry and leave on for 15-30 minutes, before washing off. Apply moisturizer after cleansing. After use your skin should feel tighter and smoother. Blemishes will be soothed, and the mask helps with them long term as well.